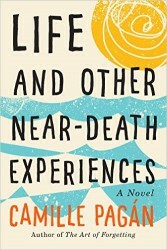 The second month of autumn became the time for a total dominance by Camille Pagán and her book Life and Other Near-Death Experiences. The title stayed in Top 3 of Kindle Amazon bestselling list during the entire month. 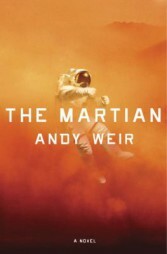 Even the movie premiere of The Martian couldn’t move out of the first place the best novel for October. See Me was published in the middle of the month and missed the first days of October to gain momentum in the Kindle rankings. 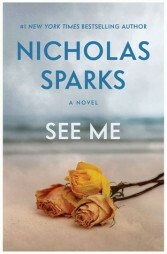 Nicholas Sparks’s well known name sold 100 million copies worldwide and it guaranteed a good launch of his next novel. The readers loved the thriller and gave nice valuation of average 4,3 Amazon stars from 430 reviews. To read more about Nicholas Sparks and how his hit The Longest Ride was adapted as a movie check out our article. The book #12 of Mitch Rapp adventures entered into the bookstores on October 6. 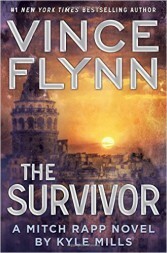 The Survivor was one of the strongest titles in the previous weeks and soon gathered very nice average of 4.4 Amazon stars from 800 plus reviews. Kylle Mills took the pen from the late Vince Flynn and continued the legacy of his famous protagonist. Chance Carter’s literary debut was stunning. The splendid reception of his first novel Bad Boy Daddy is well deserved. The book was released on October 3 and already gathered almost 800 reviews (av. 4.3 stars). Take a look at our special Land of Books interview with the promising romance author. 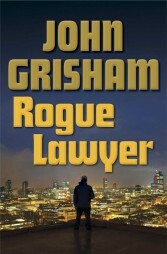 John Grisham returns with another piece of literary brilliance. This time he is betting on a rebellious lawyer. 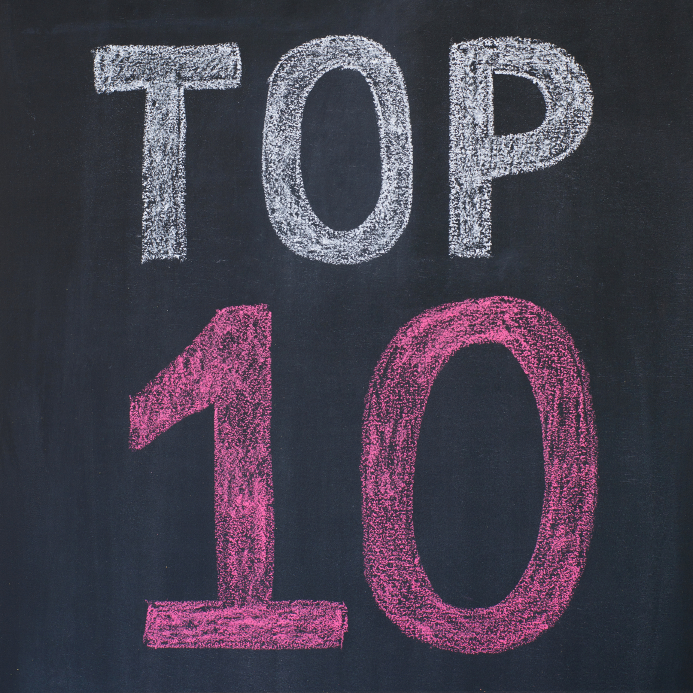 The novel debuted on October 20th and wasn’t able to take advantage of a full month presence, but however finds a place in our Top 10. You may check out special 13 Facts article about Rogue Lawyer here. Dirty English is another contemporary romance that meets a lot of adorers. 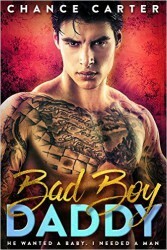 Ilsa Madden-Mills’s book was published on October 10 and soon was one of the hottest titles around the bookstores and Amazon. With av. 4.5 Amazon stars from 550 plus reviews the story probably will stay for long in the bestselling rankings. 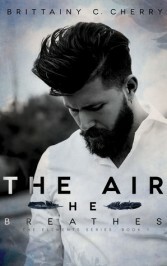 The Air He Breathes got a flying start for the month of October after being published on September 25. Brittainy Cherry’s fifth book became her most popular with almost 1400 reviews (av. 4.7 stars!). A.J. Banner did it again! One of our friends at Land of Books stays in Top 5 for the third month in a row. 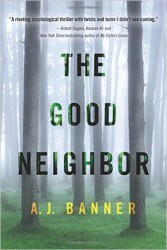 The Good Neighbor continues to receive more and more positive feedback and currently has almost 3 500 Amazon reviews. Check out the interview with A.J. here. One of the new entries in our chart received some promotional push thanks to Kindle First program. However, it was the readers’ opinion that kept the novel into the Top 3 of the best books on the planet for October. 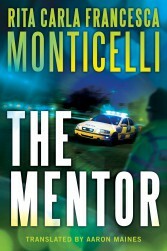 The Mentor is a crime thriller that first became a big hit in Italy before being translated in English. Andy Weir’s book finally was made to a movie. And what a movie it is! I was really nicely surprised to watch Ridley Scott’s production. The critics were also impressed by the film, which added more fame and sales to the book. This is why The Martian stays strongly in the second spot of our chart. Check out Land of Books interview with Andy Weir or take a look at his plans about the next title by the sci-fi writer Zhek. Life and Other Near-Death Experiences beat with a huge margin the field in October ranks. The total dominance saw the second novel of Camille Pagán to win 77 out of 80 possible points, one of the highest ever scores in our chart. Check out our special interview with the freelance journalist, who turns out to be a very successful writer. Posted on November 1, 2015, in BESTSELLER, Books, TOP 10 and tagged Amazon, bestsellers, book, October, rankings, TOP 10. Bookmark the permalink. 1 Comment.